New Staywell 320 Brown Deluxe Woodgrain 4 Way Locking Cat Flap Door With Tunnel. 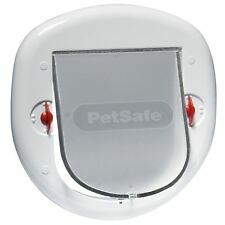 Staywell - Pet dog door / cat flap. Large cats, Small dogs (280 EFS). The door has been designed to be universally fitted in doors and windows. The flap has a manual 4 way locking system; In only, out only, opened and locked. 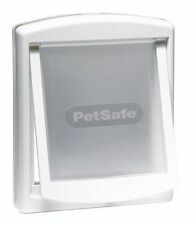 STAYWELL CLASSIC 917 WHITE PET DOOR. 4 WAY LOCK IN ONLY OUT ONLY LOCKED AND OPENED. Maximum pet weight: 7 kg (15 lbs. Maximum pet shoulder width: 162 mm (6 3/8"). Cut out size: 169 mm x 169 mm (6 5/8" x 6 5/8"). ). 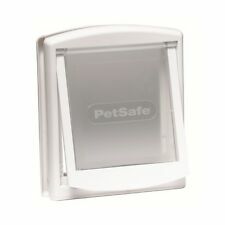 Magnetic 4 Way Locking Deluxe Cat Flap. 4 Locking Options: in only out only opened locked. Optional tunnel extension included. Suitable for cats up to 7kg (15lbs). & Rear Plastic. For 300/400/500 Series. The Small Print. 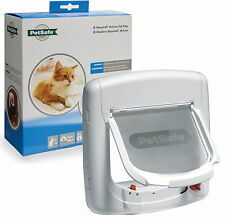 270 Slim Profile PetSafe Staywell Cat Door Also suitable for small dogs. Suitable for cats and small dogs. Also suitable in PVC door panels which are flay. Suitable for cats up to 18kg (40Ibs). 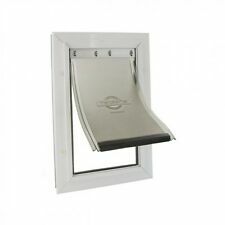 Suitable for single and double glazed units . Pet Max shoulder width: 180mm (7 1/8"). 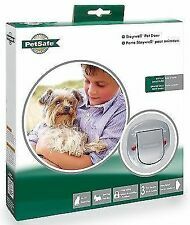 5 out of 5 stars - 270 Slim Profile PetSafe Staywell Cat Door Also suitable for small dogs. 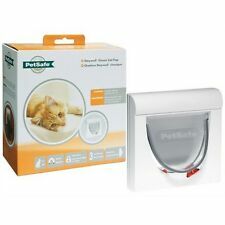 3 product ratings3 product ratings - 270 Slim Profile PetSafe Staywell Cat Door Also suitable for small dogs. Small Original 2 Way Pet Door in Brown. Security barrier locking system. Suitable for cats & small dogs up to 7kg (15lbs). 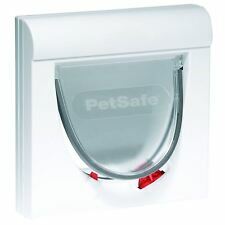 Staywell PetSafe Cat Flap Door 4way Locking. Condition is New. Dispatched with Royal Mail 2nd Class.